Chronic cough is a common and often extremely disruptive condition that can cause sleep deprivation, muscle fatigue and social anxiety. For years, little was known about the problem and little research was done. The Montefiore Cough Center is leading the way in treatment and research of chronic cough. Montefiore has the only cough center in New York State and is one of few offering health services exclusively for chronic cough in the nation. 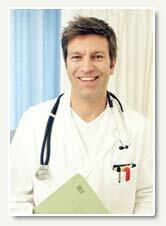 We offer cough sufferers thorough evaluations in the hands of capable cough experts and other specialists as needed. During a patient's first visit, we conduct a thorough health history and physical exam. Sometimes we may need X-rays, computerized axial tomography (CAT) scan, or other studies for an accurate diagnosis of the patient's health. In a small number of patients, chronic cough is caused by other and sometimes more uncommon or serious conditions. Montefiore can provide access to pulmonologists and other specialists for patients. Most health conditions that cause chronic cough are easily diagnosed. However, without expert knowledge and experience, some associations with coughing can be easily missed. Montefiore cough specialists offer our patients the expertise to alleviate cough symptoms. In many cases, our doctors can identify the source of the problem from the symptoms alone, without diagnostic tests, and can recommend a course of treatment on a patient's first visit. Those with chronic cough caused by post-nasal drip or asthma often report a remarkable recovery within the first week or two of treatment. Acid reflux is a more stubborn cause of chronic cough. Several visits may be necessary to determine the best treatment and to achieve noticeable results. Patients are also advised of changes in lifestyle and diet that are required for the best outcome. As one of the few cough centers in the country, Montefiore is taking a leading role in much of the ongoing research on chronic cough. We participate in studies to understand the mechanisms of coughing and to test more effective ways to treat and cure chronic cough.